Hi Readers — Here’s the latest from our friends down under, where the national pastime seems to have switched from throwing shrimp on the barbie to throwing common sense on there and gleefully watching it go up in flames. (Don’t touch! Barbecue glowing red may be HOT.) – L.
KIDS will be banned from blowing out candles on communal birthday cakes, under strict new hygiene rules for childcare. But doctors warn the latest National Health and Medical Research Council guidelines go too far in “bubble-wrapping” children…. And daycare staff will now have to wash toys, doorknobs, floors and cushion covers every day. The new guidelines state that kids who want to blow out a candle on their birthday should bring their very own cupcake – to avoid blowing germs all over a shared cake. “Children love to blow out their candles while their friends are singing ‘Happy birthday’,” the document says. The NHMRC says children who play in the sandpit must wash their hands with alcohol sanitiser before and afterwards. Okay, okay. So I made that last paragraph up. Is it SO out of place in the Howard Hughes world we are apparently convinced we must create to safeguard this, the most sickly, sniveling, supposedly vulnerable generation in human history? – L.
I’m just like a birthday cake, but not lethal! My country is rooted by madness. There is little hope when it gets this far out of hand. Where is the community uprising to stop the madness? Okay, so I have personally seen a kid blow out a cake and spit all over it so I don’t have such a huge problem with the whole bring your own cupcake thing. It’s just gross. Needless to say I didn’t let my kids eat cake because the birthday boy was complaining about a stomach bug. As for the other precautions I agree that unless there is some super bug going around or a lice infestion they seem extreme. I certainly don’t clean my own home that often. Kids need to be exposed to some dirt and germs to build up their immune systems etc. Just not mixed with icing in my opinion. I wonder what they do to stop kids from licking each other, or rubbing their snotty noses and then touching the tables and chairs? Kids spread germs. Its not really a bad thing. How else are their immune systems going to build up? My son’s school asks us to provide precut cake in napkins, if possible, as the birthday child gets to hand it out on the way out the door (after they do the singing etc) and it saves time if it’s already cut into 26 pieces. I did fairy cakes instead, it was easier. But that’s a logical reason for wanting it precut, I don’t mind that. My son is in nursery, it’s way too hectic there to expect the staff to do extra tasks. With any luck, people will just say to heck with that crap, and let the kids be kids. If they don’t and they follow along with these new guidelines they are nothing more than weak minded minions. They won’t though, because they will be threatened with their jobs or suspensions. Do these people not realize how stupid these rules are, as they are writing them? I thought of you as soon as I read this yesterday. Sometimes, even as I begin to put things in motion to leave the South Pacific, I want to stay in a 3rd world country for the rest of my daughter’s childhood. There is so much that she is missing out on here but at the same time senseless fears are not being imparted to her. Worried about asthma? autoimmune disease? These people need to read about the hygiene hypothesis. Is it objectively more sanitary to do it this way? Is being as hygenic as possible the thing that should determine how we do EVERYTHING in life? No. Not if you are not dealing with immune-suppressed people. Birthday cakes are for sharing. If someone WANTS to bring cupcakes, fine. But if someone wants to bring a cake and blow out the candles, there should not be a government regulation against it. Any kid young enough to spit/drool while blowing out a candle has already been drooling, sneezing etc. on the other daycare kids all day anyway. Wait! They allow cupcakes at that school! Don’t they realize that: 1) cupcakes are unhealthy because they contain sugar; 2) cupcakes can contribute to childhood obesity; and 3) eating a cupcake can cause cavities. I don’t get the hand washing before playing in the sand pit. Won’t their hands get dirty the moment they touch the sand, or am I missing something? The staff at that school must spend all of their time having kids sanitize their hands. Those poor kids must have raw, chapped hands from all that hand sanitizer. I’m glad to be raising a child in a saner country. As Donna said above, my son is not being exposed to the senseless fears of the US and now Australia. In fact, my son sometimes reads the posts on this site and can’t believe some of the things on it. I explained to him that truth is often stranger than fiction. At least they are still allowing people to bring homemade cakes? Or are they? Nowadays it’s apparently too much risk to let some kids’ parent bake something without a food handler’s permit and professionally inspected kitchen. What?! So just the BIRTHDAY KID gets a cupcake with a candle?! That hardly seems fair to the other children. Hygiene be damned! This should be an issue of equality for all the precious children. Cupcakes and candles for everyone!! Spitting is gross? Google for chicha beer, or chewed kava. What’s a bit of spit on a cake between friends? My issue here is not with any of the specifics, it’s with the incredible micro-management to think that the high level officials need to get involved with the details of a birthday celebration. I think this is a serious issue – we are creating a society where all decisions are reserved to those at a higher and higher level – leaving the rest of us as wage-slaves – then our pay can go down since we are replaceable since, well, we don’t make decisions. Then you can go to the bar and hear the bosses complain how their subordinates never make a decision and always refer everything to them. Way to turn something *fun* into a Monk episode. Kids are walking petri dishes, some with agar. They will film almost any surface with slime, including birthday cakes and cupcakes and to expect their germs to never contact one another is a delirious thought, probably by someone who doesn’t spend much time with kids. Also, be glad they stil allow cakes and cupcakes! We are a non-food celebrating school- only special dances and wearing of pajamas to school on their *special* day. Oh the fun! I’m surprised they don’t have guidelines devoted to human contact, such as kisses and hugs. Only air kisses and fist bumps. Ok, I’m impressed with the fact they allow treats. This year the ruling with the Texas law is no treats. I hand out crackers to my 2nd graders because 1/2 of them were crashing with hunger before lunch. The must have store bought because of allergies only rings 1/2 true with me. I have the most serious version of Peanut Allergy. I never eat a bakery made treat – because they all have signs up that they use peanut products and can’t be sure there hasn’t been cross contamination. A homemade caked – I trust the baker to tell me what is in it. In my district we apparently they had a mass case of food poisoning after a bake sale that was traced by the health department to a parent’s unclean kitchen. To keep the permit for our school kitchens the district had to agree to no homemade bake sales. At least they can blow out candles on cupcakes. Our school banned candles as a fire hazard and anything sweet just because it was unhealthy. When I worked in daycare (2007-2008), we had asinine rules about when we had to wash things, too. I can understand bleaching changing tables, especially after a blowout but to have to clean cushions and toys every single day…that’s a bit much. First of all, how are they supposed to clean said cushions and stuffed toys that can’t be soaked in a bleach solution and have to actually dry if they’re washed. Unless the daycares want to dole out extra money for someone to stay behind and do this cleaning, it’s not going to happen. And trust me, daycares don’t want to dole out extra money for anything, including staff to cover for sick teachers when the germ factories do their thing. Go ahead and ask me how many times I went in while sick. This is a little excessive and I’m sorry to say that people actually follow it like the little sheeple they are. This is ridiculous. There is solid evidence that people need certain germs to function properly, but won’t get them if they live in a sanitized world. Want to prevent daycare plagues? 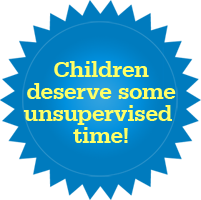 Give parents time off of work to take care of sick kids and stay home when sick and ENFORCE THAT. This is silly. The germs that kids get exposed to at daycare/school/preschool etc are needed to build a strong immune system. If you never meet a germ, how does your body learn how to deal with it? When my daughter was a year and a half old she was sick constantly. She had been in daycare about 6 months at that point. We took her to the doctor to find out if something was up. When she found out that we had just started with daycare she said that was the culprit. She basically told us to prepare for about 2 years with a sick kid, but after that she would have been exposed to many of the common viruses and would stop getting sick. It is now 2 years later and flu season. Everyone in my house has been sick at least twice…except our daughter. She had the sniffles once. But after 2 years of daycare she has an awesome immune system. Way better than mine! We have seen the same thing with my niece after 2 years of preschool. Sick for 2 years and then healthy as can be. People need to be exposed to germs in small amounts. That is how we get immunity. To remove all exposure is to set kids up for major illnesses when they first get exposed to more virulent germs. @Becky–In the article, it says that all the kids get cupcakes (or, a piece of a large cake), but it’s just the birthday kid who gets a cupcake with a candle to blow out. So, it’s either a big cake with no candles, cupcakes for all, with a candle in the one for the birthday kid, or a cupcake with a candle for the birthday kid, plus a large cake for the other kids to share. The point is to share the cake, but not the germs. Anyway, I don’t get the “wash hands before playing in the sand” thing either, although washing hands AFTER sand play makes perfect sense. When I have kids, I will let them eat dirt. Then when a superbug comes through to wipe out all the Purell addicts and their untested immune systems, my kids will survive to rebuild civilization. Emily — so Becky’s still right. It’s not cupcakes *and* candles for all, so where’s the equality? Though I think Becky’s being somewhat tongue in cheek — every preschool birthday party is now both a public health and a socio-political matter. Dear NHMRC: Back off – I want my child’s immune system to be tested. If someone is sick, then perhaps imply that he or she should stay home. But healthy children? I want them mucking around in the same places my kid mucks around. Is all nonsense – but the birthday cake focus is strange and less worrying than some of the other recommendations and the overall position of the guidelines. I am in Australia – alot of daycare centers (including the one my kids go to) don’t allow any food to be brought in (due to nut allergies) so no one takes in cake anyway. I am perfectly happy with that – less work for me, and I think the whole birthday thing is massively overdone anyway. I don’t have school age kids yet but I really don’t see necessity for people to take cake into school either. You have a birthday party outside of school/daycare where you have cake and there you can all spit on it if you like as not subject to any regulations. – I don’t think these will change the way people behave at private parties. I don’t remember taking cake into school as a child. The daycare center mine go to has a wooden birthday cake with a pretend candle – the children love that as much as anything and for the age of the children 12 months to 5 years I think that is fine, they can get up close to the cake, pretend blow out the candles, split it into slices to ‘share’ with friends – and do the ‘real’ cake thing at home. Real cake and candles I don’t think is ‘needed’ in a daycare environment. At our school, and the other two schools my kids have attended since starting school, homemade treats are not allowed. You have to bring storebought. Like the storebought ones are really any better. As for the cake and candles thing–I think there are bigger issues to care about. That said, it is bizarre, since people have been blowing out birthday candles for decades and aren’t getting everyone else sick. It’s just the thought of germs spreading that makes everyone so worried. It’s silly. And I really think having to bring storebought over homemade is ridiculous too but whatever. The job of a parent is to prepare children how to face the world not crawl under the bed and hide. Why are they even having birthday cakes in schools and preschools? Birthdays are really for families to celebrate; you can add on singing Happy Birthday to the birthday kid and letting her/him wear a crown all day if you want to add something. Grump, grump, grump. This is hilarious. This post reminds me of my girls when they were young. Could not stay focussed at all. Go back and look at all the posts that are about nut allergy restrictions, cupcake equality, birthdays in school or pre school. The human species is always good for a laugh. @Rachel…I did just that and my adult kids are some of the healthiest people I know. Friends, not to sound gross, but haven’t I heard from doctors and other folks who say that today’s kids suffer from. . . a LACK of germs? That the indoor sedentary, couch/computer/video lifestyle has been largely responsible for peanut allergies and asthma increases? My kid’s pediatrician says this. So a few germs, and a little dirt, is not so bad for you. In fact, the contrary looks more likely. @Pentamom–When I was in preschool, if I was given a cupcake at snack time, instead of the usual carrot sticks or whatever, I’d probably have thought, “cool, I got a cupcake,” rather than “that’s not fair, Jenny has a candle and I don’t.” My parents taught me from a young age that birthdays are supposed to be special for the birthday person, everyone has a birthday at some point, and it’ll all even out in the end. That’s why the birthday kid gets birthday presents, while the guests just get loot bags (if that party has loot bags), the birthday kid wears a paper crown, while the guests wear pointed hats, etc. There’s something to be said for learning to appreciate what you get, and be happy for the person whose special day it is. I mean, it never got insane, and when I was the birthday kid, I was taught not to be a brat about it (as were my peers, for the most part), but how do you expect kids to learn to be gracious when they’re not in the spotlight, if you make everything equal for their whole lives, until one arbitrary point in the future when they’re deemed to be “old enough to handle it?” In the words of Miss Manners, “One cannot expect to be the bride at every wedding, or the corpse at every funeral.” Besides, even if large cakes with candles were still allowed, it still wouldn’t be strictly equal, because only the birthday kid would get to blow them out. P.S., I’m glad Australia still allows homemade cupcakes to be brought into preschools, schools, etc. As was mentioned upthread, a lot of places don’t even allow that. Besides, cupcakes make a lot of sense for other reasons–no need for plates and forks, no cake plate to wash afterwards, leftovers are easier to deal with, and also, cupcakes can be tailored to each kid, to some degree. For example, if you know that little Sarah doesn’t like sprinkles, or little Chad can’t have chocolate, you could accommodate that. They did retract some of the suggestions in the media after public backlash. Will see if I can dig out the articles later, sadly am on my phone. Germs are good! Spit on each other; forget the cake! Oh yeah, kids are already spitting on each other. When they have a conversation. It’s ludicrous, the idea that kids in a daycare could somehow avoid germs. Unless they are in hazmat suits the entire day, it’s a futile effort… and probably counter to what develops healthy immunities anyway. All of this sounds like a way to assuage the mind, not the body. Taking what seem like the most obvious transmissions of microbes and making those activities subject to cleansing. But seriously, the germs are constantly flying, the little hands are constantly visiting the little noses and everything else, and there’s just NOTHING YOU CAN DO. LIVE WITH IT. AMA president Steve Hambleton told News Ltd. He also criticised the rule requiring children to wash their hands before and after playing in a sandpit. “Just wash your hands before you eat,” he said. “It’s normal and healthy to be exposed to a certain amount of environmental antigens that build up our immune systems. We have somehow gotten so far away from this important fact. People are so germaphobic they are making themselves and their kids far more sick than they would have been in the first place. @Mollie–I bet you a Diet Coke that someone from One Step Ahead, or a similar peddler of kindercrap, is going to roll out some kind of “toddler hazmat suit” after reading your comment. After all, they already have baby pajamas that monitor the child’s vitals while they sleep……and this is marketed to the general public, for healthy babies. It’s not a medical device, for sick babies in hospital; it’s just meant for neurotic parents, so they can literally obsess over their infant’s every breath and heartbeat. What I want to know is if kids are required to hand sanitize before sandbox play, what does the school do to safeguard cats from using it as a litter box? Secondly, back in 1977 when my two year-old son started preschool he was sick within a couple of weeks. We dealt with ringworm, impetigo (missed the head lice) and who knows what else but after that was pretty healthy. For his third birthday, since I didn’t have a good place to hold a party I took a cake to school – a big Spiderman cake with three little candles, which a thrilled Graham neatly extinguished. Cake was doled out on Spiderman plates, punch was served in Spiderman cups and mouths wiped with Spiderman napkins. All children miraculously survived. The only glitch was one little girl whose mom didn’t allow to have sugar but a quick-thinking teacher found a container of yogurt. I suppose nowadays the whole class would have been denied cake because of the one who couldn’t indulge. I am so glad I don’t have to do the mom thing now. Emily, as I said, I believe it was a joke. Some people obsess over germs, others obsess over fairness. And both are often the kinds of people that think that every little thing that plays out in preschools is a matter for earnest concern. I agree with you — the fairness thing is silly and learning that someone else’s birthday party is not about everybody being equal is actually a good thing for young children. But I don’t think it was meant seriously. Logic says that if germs spread by blowing out birthday candles was such a danger then the human race would have died out centuries ago. I saw this, it’s as bad as the no-high-fiving- soccer players. Really maybe we shouldn’t even let them play in the sand box or with toys. Are there less germs pre or post hand sanitizer? I can’t tell you how many time I’ve let my kids eat something & realized that they haven’t washed their hands. I worked in pre-k for 8 years in NYCDOE. Each school celebrated birthdays with different rules. Some didn’t allow candles, one new teacher has monthly celebration for anyone w a birthday in that month. Ridiculous, where’s that special it’s-my-day feeling? Another point- ECERS is a rating scale for pre-k classes being used nation-wide (maybe international!) to assess appropriateness of the environment. Authors appear to have fear of germs. The amount of cleaning throughout day is definitely written by person with OCD! People seem to ignore research that doesn’t mesh with their perception of reality. is a youtube vid from a few years ago about a kid competing in Australia’s Junior Masterchef contest. You only need to watch from time mark 3:44 to 4:06 – watch and listen closely to how Pierre solves the problem of too much chocolate powder on top of the brownies. Only a kid could think of and get away with this. And nobody died. People worry too much. It’s a bummer when your kid’s sick, but what are you going to do? It’s part of life. Meanwhile, I guess some people want to over-regulate things so much that the cost of daycare will just continue to be driven up and up. That’s why I had to quit working–it was just too expensive. I’m not complaining (I like being home with my kids), but this puts a real hardship on many people. I personally prefer the little one to spray germs all over the cake – it keeps me from eating it! We only follow the ECERS rules when it is inspection time. around april. I don’t have time to clean up after 20 four year old all day and make sure they dont contaminate themselves each other or the class my class is extra contaminated and my class are the healthiest. Some used lanugage a little bit more colourful! However, it was JUST a media report basing their “facts” on an old out of date edition of the National Health Councils GUIDE book on staying healthy in child care, which i might add is used mainly by educators in the children’s services. When I was a kid I never went to daycare, I had a fun time playing outside at home, and can’t remember getting colds all that often. Nowadays, just being in a cooped-up daycare environment I think makes kids sick all the time. So I understand them trying to prevent it as much as possible, but it’s a losing battle. If you want a kid to not catch so many viruses, keep ’em out of icky daycare and let them have a real childhood!